They used to be advertised in newspapers, but now they’re all over the Internet, and enter your inbox every day. 'Get Rich Quick'schemes; more accurately 'Work at Home' scams. In tough times more people will think they’re on to a good thing and try these. Who wouldn’t want to get easy income if they could? It may not be what we want to hear, but there’s no such thing as a 'free lunch', or a 'quick buck'. However much we want to believe that the scheme we’ve just come across will work, and looks different to the others … it won’t and it isn’t. However, PSG’s research did reveal a couple of programmes which, with hard work and enthusiasm, might deliver a reasonable income. Make Money Real Business – Learn to make $1000-$3500 Daily. Let this stay at home Dad show you. For Serious Entrepreneurs – Proven + Automated + Turnkey. Earning £250K Working From Home. 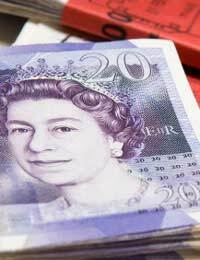 Make £500 in 30 minutes – You can make money fast and easy. Simple step-by-step system! Tempting, aren’t they? The idea of quick and easy money has, and always will have, appeal. Most of the schemes are accompanied by quoted testimonials about how much money people made, but results of the research carried out by PSG showed that most people could not earn such large amounts in such a short time. As noted before PSG’s research did find a couple of very high quality programmes which might deliver a steady full-time income (note the difference in the tone of the language). These programmes proved to be value for money, offering up to date methods and techniques. It was these differences that made one or two programmes stand out. Most programmes that profess to make you rich quick will not do so. Research has shown that 95 per cent fail in their claims. Pro Consumer Guide research revealed two programmes that made money with hard work and adherence to instructions. Leafleting as a Business Or For Your Business?